Liz specialises in commercial property. She acts for a range of clients and has extensive experience of advising clients in relation to industrial units, offices, and retail units, both in high street locations and in out of town retail parks. She acts for both landlords and tenants. 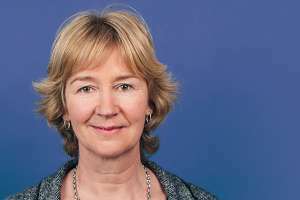 Liz studied law at St John’s College, Oxford before joining City firm Lovell White Durrant (now Hogan Lovells) in 1988. During her articles there she was seconded to the premises of the Bank of Credit and Commerce International (BCCI) (in liquidation) to assist the Liquidators in the realisation of commercial property assets. Liz qualified as a solicitor in 1990 and in 1994 she moved to Bristol and joined the commercial property department of Burges Salmon. Here she acquired general commercial property experience, and acted for Train Operating Companies (including Great Western) following the privatisation of British Rail. I just want to thank you for all your help & prompt attention & keeping me up to date on the above sell. Highly recommended.